Alpha Chemical’s innovative line of acid cleaners makes it easy to monitor changes in pH with stronger and more effective detergents for quick and easy cleaning. 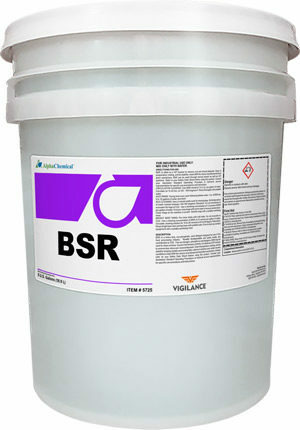 Remove everything from rust and mineral deposits to stains and beerstone, our acid detergents are versatile and suited for cleaning all of your brewery equipment. 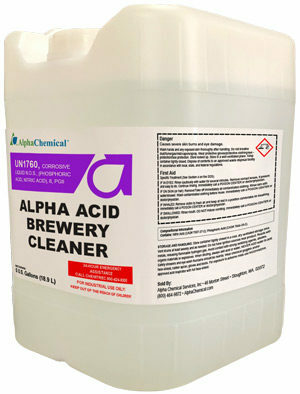 A self-indicative, heavy duty, low foaming acid cleaner and stain remover for use in all manner of brewery cleaning. 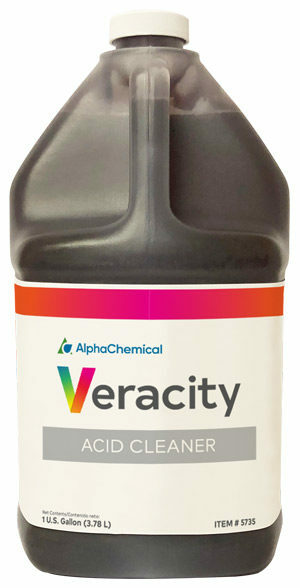 Veracity is safer, stronger and more effective in all cleaning aspects than nitric/phosphoric acids. This cleaner is most effective below a pH of 2.0 and alerts the user of its pH at all times. Veracity is pink/red in color when the pH is below 2. At a pH greater than 2 Veracity’s color changes to yellow alerting the brewer. Veracity has no toxic fumes, is readily biodegradable and is free of nitrogen, phosphorous, and halogens. Veracity keeps metallic and nonmetallic cations in solution such as manganese, iron, calcium and magnesium soluble in near neutral pH during the final rinse cycle. When used as an acid cleaner Veracity releases 10x more protons than phosphoric acid making it able to maintain a lower pH in cleaning and dissolution of scale developed in the brewing process.